These hydraulically-powered trains tour the park from above. Enjoy the beautiful Linnanmäki views! When a child under 100 cm and an adult ride together, one of them can ride for free if the other has a wristband or a ticket. Come on board and get swept off your feet by the speed and atmosphere of the bumper cars. This classic ride is popular amongst children and adults alike! Not recommended if you are pregnant, or have a cardiovascular or musculo-skeletal disorder. Join Scrat, Ice Age's resident nut-crazed saber-toothed squirrel, as he time travels in his zaniest adventure to date, Ice Age: No Time For Nuts 4-D.
Do you dare to step in to a cage? Dive with sharks introduces new 4D technic where the viewer is standing in the middle of 4D effects. 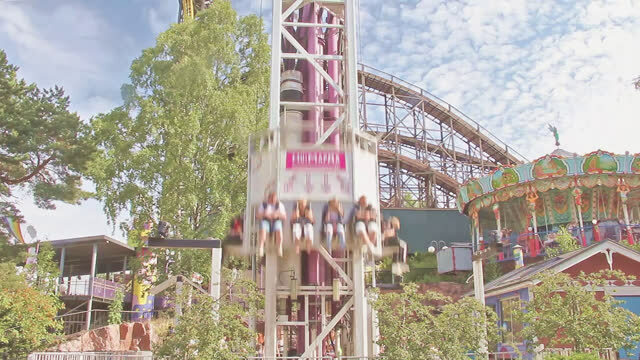 This Linnanmäki helicopter ride consists of a smooth ascent into the skies while spinning. The child in the front seat can pilot the gondola during the ride. The popular riding track takes you on a tour around the beautiful park of Linnanmäki. The cam wheel placed on the driving tyre makes the horses “gallop”. HipHop lifts its riders to a height of eight metres and its four programmes of bounces and bumps will tickle your tummy. Especially tall or large people may not be able to enter some rides due to the safety bars. Hypytin's bounces will make you feel as though you've left your stomach behind! Not your ordinary coffee break! This coffee cup carousel rotates fast and you can spin the gondolas yourself. This spine-chilling 3D-adventure takes you through a spooky alley wearing 3D glasses, where you will encounter different kinds of horrors. Recommended for children over 12 years. This German carousel, Linnanmäki's oldest ride, arrived at Linnanmäki in 1954. As the ride rotates you can enjoy atmospheric organ music. The ride will turn you upside down and spin you along a circular trajectory. The ride's swing chairs offer a speedy carousel experience. The spectacular animal-themed facades create a nostalgic atmosphere. Kieputin spins visitors around as it lifts its gondola high up in the air. Soon you won’t know what’s up and what’s down. Not suitable for people who are pregnant, or have a cardiovascular or musculo-skeletal disorder. Linnanmäki's highest ride is a 75-metre tall freefall tower called Kingi. A steel roller coaster with a top speed of 60 km/h. A daredevil’s favourite ride. A carousel that spins in both directions and elevates up to a 15° angle with a hydraulic cylinder. All aboard the train to explore the darkest corners of this hotel – if you dare! Recommended for children over 10 years. 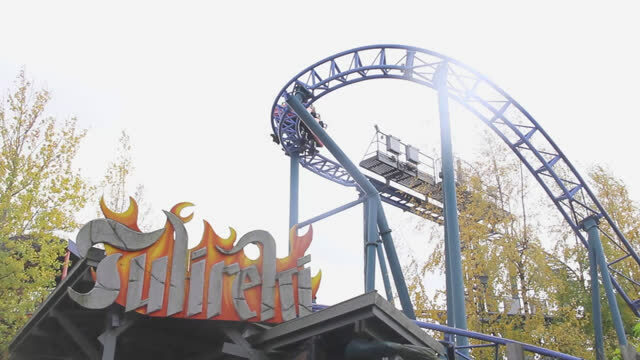 As a first in the Nordic countries, the Linnunrata eXtra connects virtual reality with the roller coaster! Recommended for children over 6 years. Lohikäärme spins riders forwards and backwards and up and down over hills and valleys. The speedy ride Magia spins the bravest visitors clockwise and anti-clockwise at an eye-watering speed. Magia is this summer’s most exciting new ride. This swing for budding pirates takes the youngest members of the family on a pirate-themed adventure. An entertaining train ride around the Linnanmäki water tower for the youngest members of the family. Mustekala, or "octopus", swirls riders up, down and around in its tentacles. 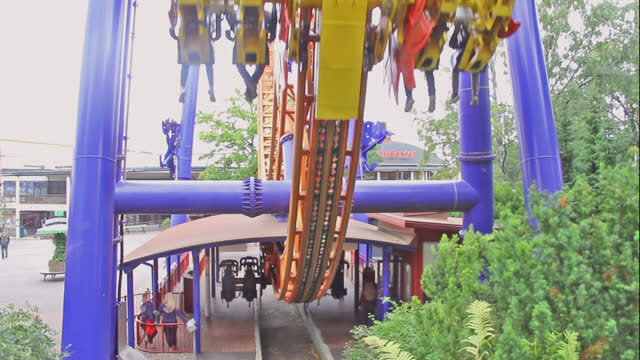 The ride and its tower rotate in opposite directions, creating a wavy motion. The Panorama sightseeing tower is available to our customers for use free of charge throughout the entire summer. Jump aboard the new spectacular funhouse! 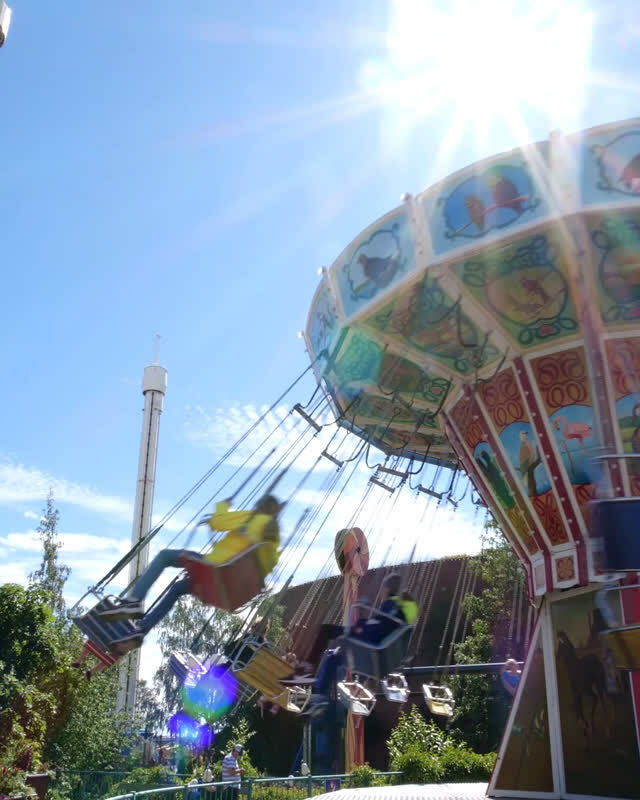 Linnanmäki Amusement Park introduces a new attraction for the season 2018! Ride fast motorbikes and spectacular sports cars on the Pienoiskaruselli. In addition, there is room for eight brave firemen. The Pikajuna train takes children and grown-ups on a rapid rollercoaster ride up high. Glide through the air on the Pilot ride's airplanes. This fun flight is suitable for children and the young at heart. Poppis is an exciting ride for the whole family, where the seats go up and down around a tower. Only the sky is the limit! On Propelli visitors get to choose how high they want to fly by pressing the pedals as they circle the tower. Raketti shoots you 60 metres into the air in 2.5 seconds, just like a real rocket! Gravity takes care of your return to earth. Budding young truck drivers can go for a spin along a nice, winding track. The back seat is reserved for slightly bigger passengers. This large ferris wheel spins riders in a large circle. The wheel stops and allows you to take in the views from as high as 34 metres. As the carousel turns, the gondolas lift and lowers. In addition, the bravest passengers can add a twist to the ride by spinning the ring-shaped gondola around. Salama reaches a height of up to 17 metres and shoots riders along a track of 420 metres. Taikasirkus takes guests on a slow journey to the circus, where animated characters entertain visitors of all ages. A metal rollercoaster which covers 336 metres of twists and turns in just a couple of minutes. Riders are first taken to a height of 50 metres along a 150 m long track, where they are spun upside down and then plummet back to earth at a speed of 105 km/h. Vankkuripyörä is a Wild West themed ferris wheel. This ride takes children and adults alike high above ground. A house filled with fun and exciting effects. Beware of the rotating floors and slanted rooms as you walk through this ride. 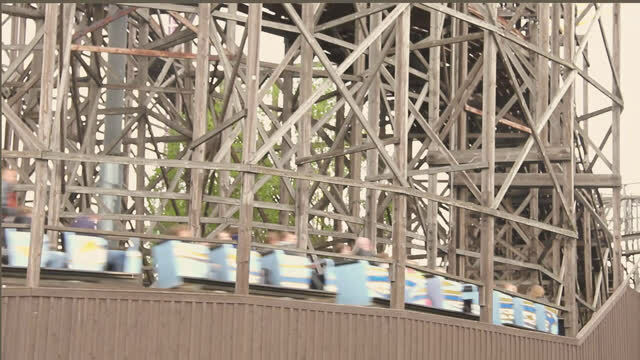 The park's most popular attraction the wooden roller coaster was built in 1951. May I present the main partners of Childrens' Day Foundation!